Just across from Napili Bay in Maui, Napili Gardens offers spacious 3-bedroom town homes for rent. 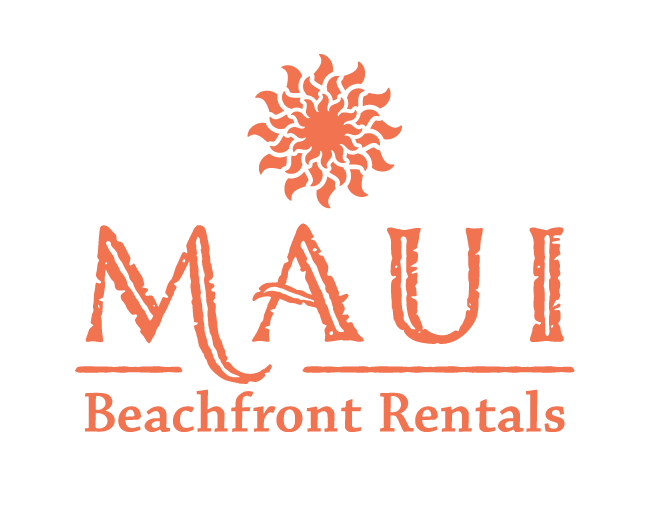 Get great rates on vacation condo rentals when you book direct from Maui Beachfront. 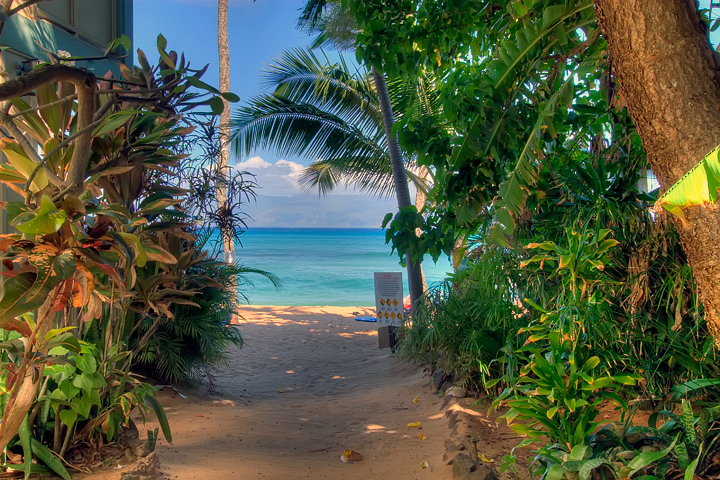 Looking for a low-key Maui vacation rental property on the popular west side of the island? Consider a Napili Gardens vacation rental condo in the quaint town of Napili with its laid back ambience. In Napili there are no high-rise resorts taking over the oceanfront landscape. 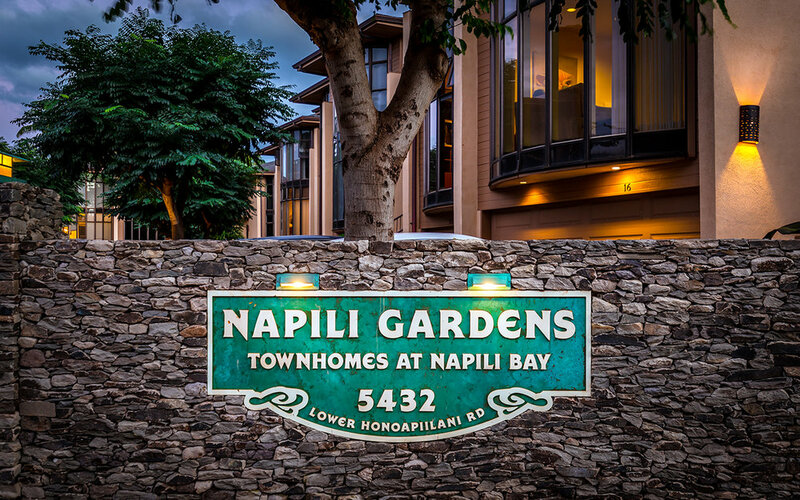 A small townhouse complex with only 12 units, Napili Gardens is nestled just south of the upscale Kapalua Resort and just a short drive north of Lahaina Towne. 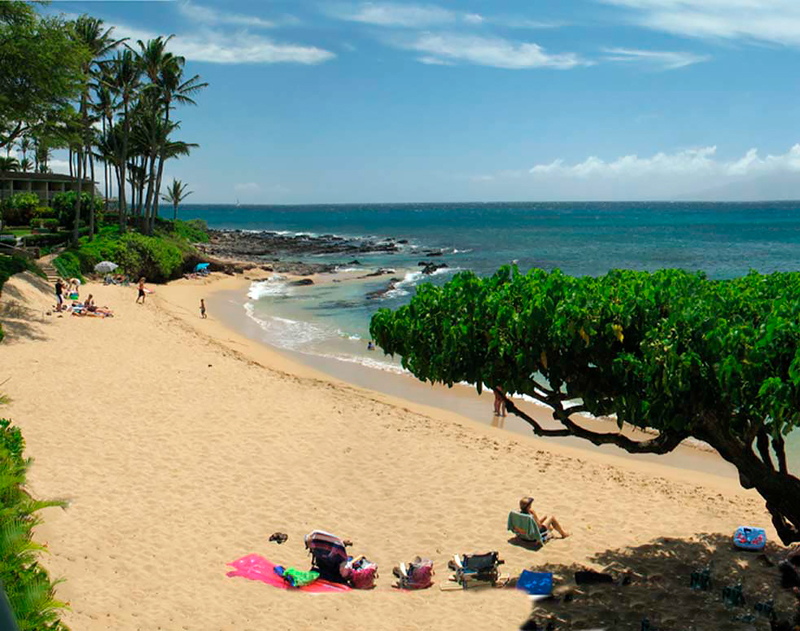 Walk directly across the street to Napili Bay Beach with its pristine aqua-blue waters and lovely sandy beach. 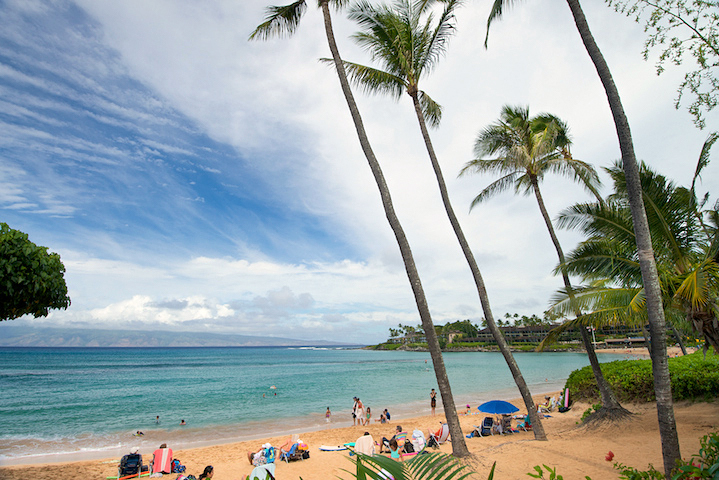 Known for its perfect snorkel and swimming conditions, Napili Bay Beach is a local favorite. At the end of the bay you'll find a great oceanfront restaurant that's open for breakfast, lunch, and dinner and offers evening entertainment. All of our Napili Gardens vacation rentals are three-bedroom units with their own private two-car garages, eliminating any parking issues. You also have your own private backyard lanai and personal gas barbecue grills, which make outdoor dining much more convenient.